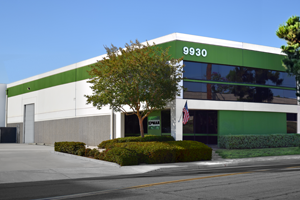 The SynDeck® line of marine products is developed and manufactured by EPMAR Corporation, located in Whittier, CA. EPMAR is a wholly owned subsidiary of Quaker Chemical Corporation. Since 1983, EPMAR has been producing low and zero VOC coatings and adhesives for a wide range of applications in diverse industries, including: aerospace, electronics, construction and marine. Our custom-formulated products consist of waterborne systems, epoxies, polyurethanes, polyureas and reactive stains designed to meet specific customer, industry and regulatory requirements. As a result, EPMAR has earned a reputation for creating high-performing and technically advanced products that meet, and often exceed, current environmental standards. SynDeck began serving the marine vessel industry in 1987. The SynDeck line was developed specifically with the manufacture and repair of military, commercial and private vessels in mind. In 1989, SynDeck underlayment and waterproof membrane were approved for use by the United States Navy. Since then, SynDeck primary deck coverings, coatings and underlayments have been specified as the standard for many military vessels. EPMAR’s research and development staff continues to leverage its established marine deck underlayment system expertise to develop new products and solutions that meet the evolving needs of maritime industries. SynDeck is a trademark of and is manufactured by EPMAR Corporation. For more information about our Corporate Responsibility initiatives, please visit www.epmar.com.